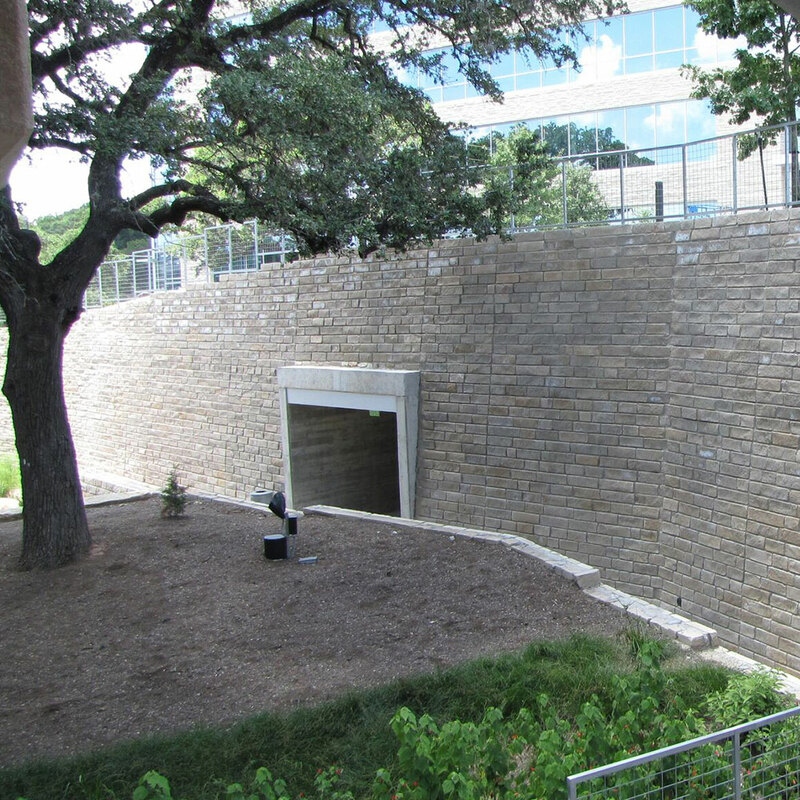 In addition to traditional retaining walls, mortared limestone walls can be used to construct free standing pond walls and screen walls, and parapet walls and barriers are easily integrated or constructed. This system is more water resistant than other wall systems, which means it can be constructed so that it provides a relatively watertight system. Limestone is a native material in Texas and the Southwest region so it also provides a very cost-effective solution when stone materials are readily available.